My name is Garry Firmstone and with a wealth of experience of helping many people from many different cultures, backgrounds, countries and faiths, I have a desire to deliver a personal and first-class service for you. A service that fits your requirements entirely, with reliability, honesty and integrity. The level of my commitment to you and your specific needs will be unfailing and will be met in a positive, creative and professional manner. My experience will provide you with confidence, knowing that you, your loved-ones and friends are in safe and reliable cariring hands. 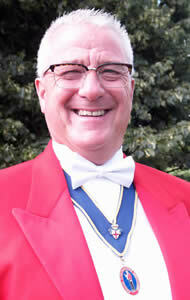 My name is Garry Firmstone and I would like to be your personal Toastmaster. I have a wealth of experience helping people from many difference cultures, backgrounds, countries and faiths. I have a desire to deliver nothing less than a first-class service as standard and you can rely on me to deliver a personalised service - one that fits your requirements entirely, with reliability, honesty and integrity. The level of my commitment to you and your specific needs will be unfailing and will be met in a positive, creative and professional manner. My training and experience will provide you with confidence, knowing that you, your loved-ones and friends are in safe and reliable hands. My Service to you starts with an informal meeting between us – this will help to establish your own unique requirements and will be the beginning of a very special relationship between us. We will work closely together throughout all the preparations up to and beyond your Big Day. You can be assured of my full attention and complete confidentiality at all times. My conduct as a Member of the English Toastmasters Association is governed by a strict code of conduct and ethics, a copy of which I will be happy to supply to you should you require. I do very much hope that you will allow me the opportunity to play a valuable part in the success of your plans and very much look forward to hearing from you.